The vision of those who fought to establish Australia's first regional university at Armidale in northern NSW came to fruition after years of work and development through numerous stages. The story begins with the election of David Henry Drummond in 1920 as representative of the Northern Tablelands in the NSW Legislative Assembly. Drummond was a foundation member of the New State Movement, which believed in the potential of New England to become Australia's seventh State – with its own educational institutions. His interest in education led to his appointment, in 1927, as Minister for Education in a newly-elected NSW Government. One of Drummond's first achievements as Minister was the establishment of a teachers' college in Armidale – the first Australian college of its kind outside a capital city. 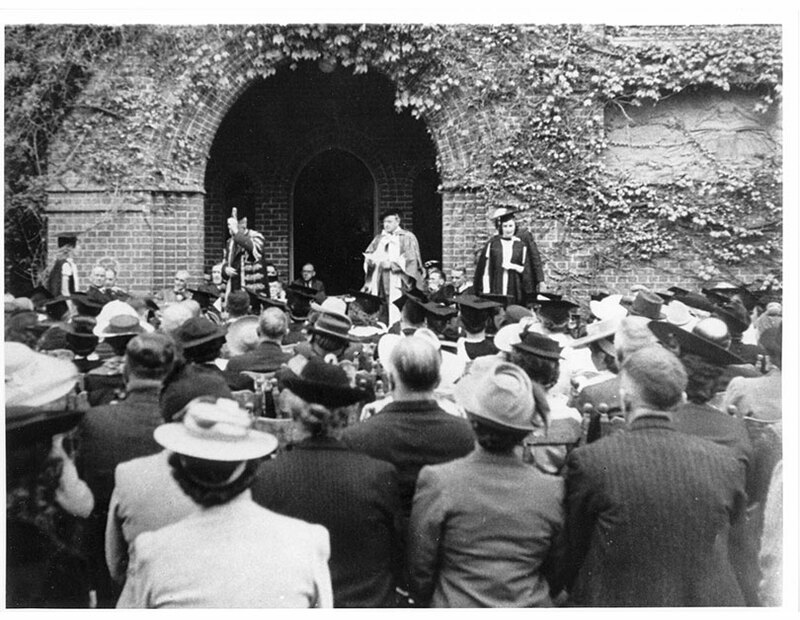 When laying the foundation stone of Armidale Teachers' College in 1929 he said the community was, in effect, laying the foundation for a future university. 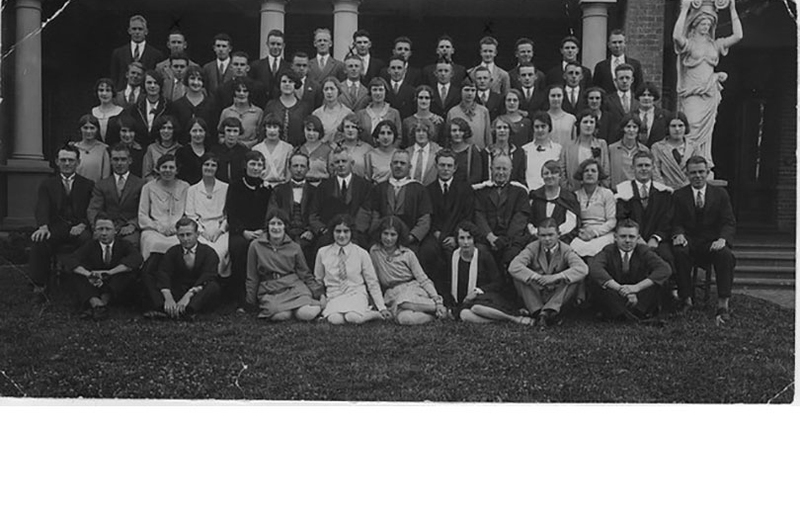 'Pioneer Session' — Armidale Teachers' College c. 1932. 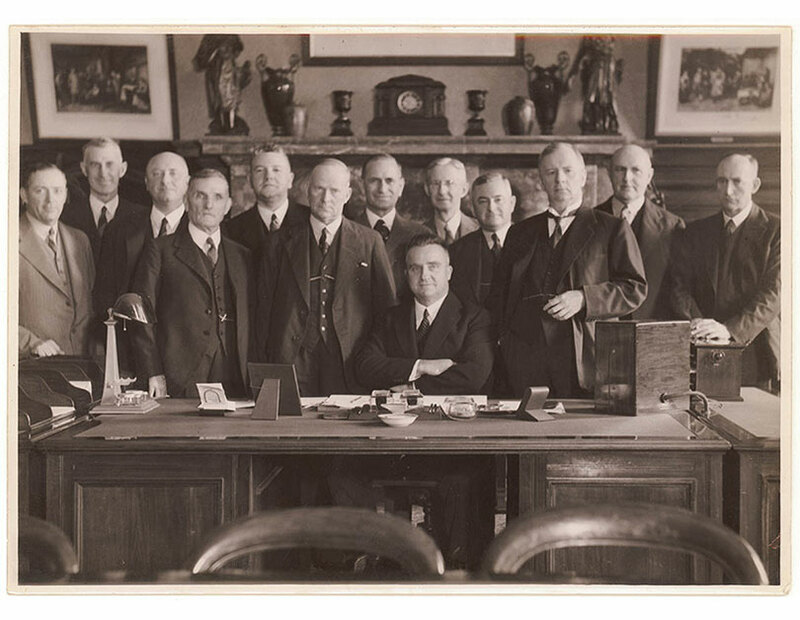 Premier Bertram Stevens and his cabinet in his office, Colonial Secretary's Building, Sydney, 29 February 1939. Aerial view of the grounds in front of Booloominbah. View from the north. Drummond was right: the local movement to establish a 'northern university' intensified. In 1934, at Drummond's instigation and with his support, a community campaign began to raise money for the scheme. The following year the Senate of the University of Sydney agreed in principle to the idea of opening an affiliated university college at Armidale which became known as the New England University College (NEUC). The 'northern university' idea caught the imagination of Thomas Richmond Forster (pictured) of Abington Station near Armidale. Forster was the son-in-law of Frederick Robert White, a wealthy pastoralist who had owned grazing properties in the Upper Hunter, New England (including Abington) and Queensland. In the 1880s, F.R. 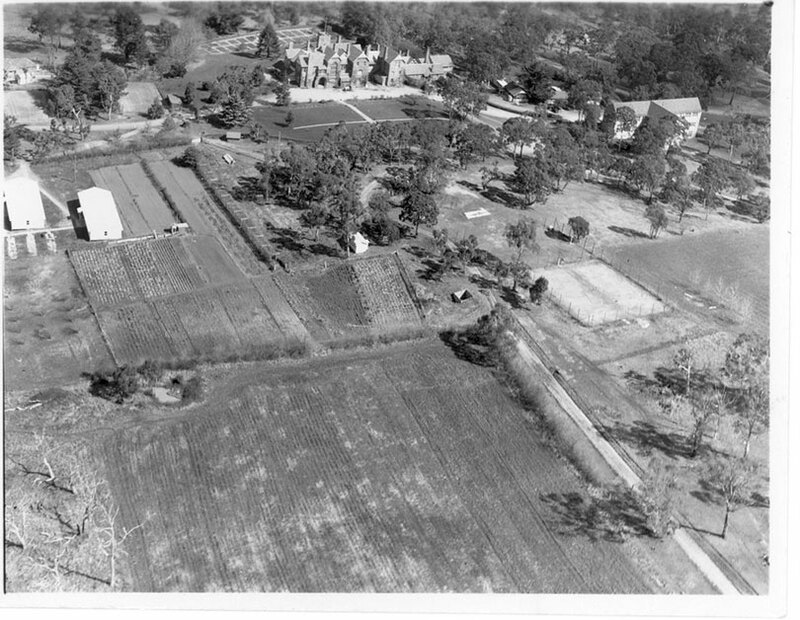 White built a 45-room mansion, Booloominbah, to the north-west of Armidale as a home for his large family. By the mid-1930s, Booloominbah was unoccupied. 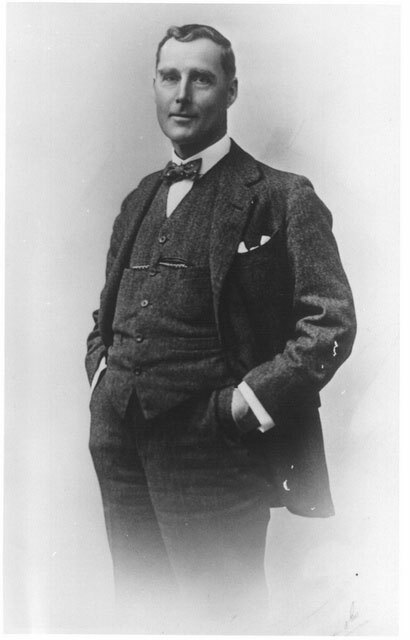 Forster, who had left school at the age of 15, had a vision of educational equity for Australia that included the decentralisation of higher education. In 1936, he offered to buy Booloominbah from the White estate and give it to the University of Sydney for use, he said,"as a University College for all Australia". By March, 1937, the fund-raising campaign had met only half its target of £10,000. Parliament was sceptical of Drummond's plans to establish 'another Cambridge or Oxford on a sheep station', but the Premier, Bertram Stevens (pictured with his cabinet), agreed to support the proposal if the target could be reached by the end of June of that year. In urging the people of northern NSW to contribute to the fund, Drummond argued that a university in 'the greatest rural-industries area in Australia' would provide educational and research support for rural industries both locally and nationally – a prediction that the University of New England has magnificently fulfilled. Through the determined support of New England citizens who shared Drummond's vision, the £10,000 target was reached by the final day of the appeal – much to the surprise of Bertram Stevens. 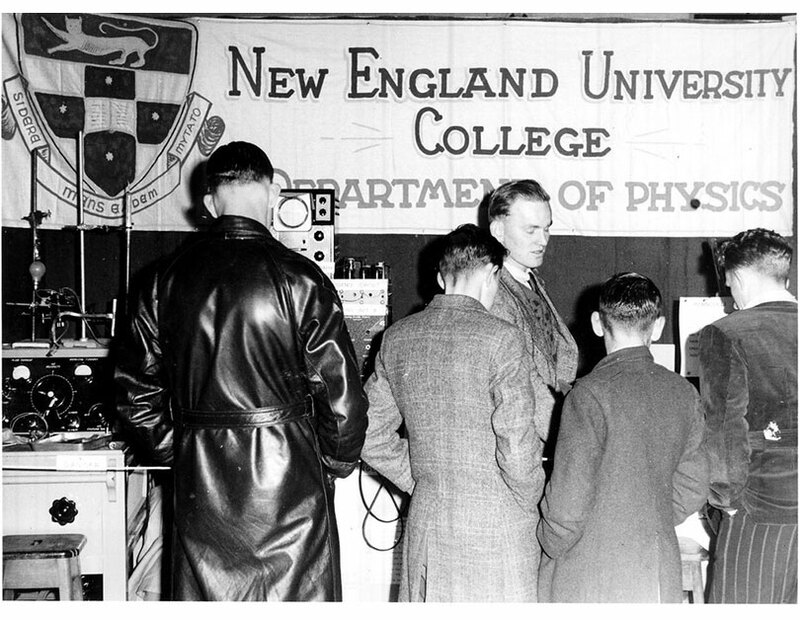 He was true to his word, however, and introduced the necessary legislation to Parliament in December, 1937, and New England University College (NEUC) came into existence on New Year's Day,1938. See more about NEUC's early days. 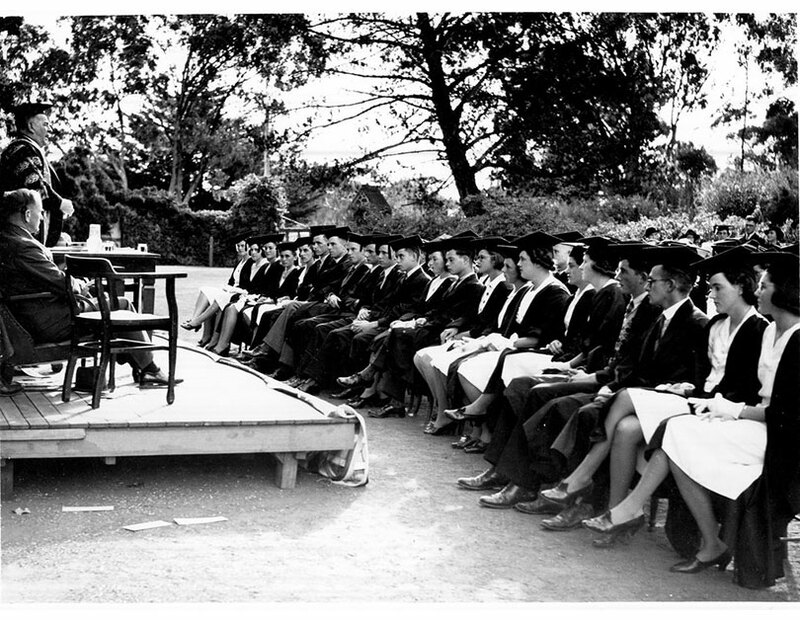 After NEUC gained independence from the University of Sydney, the University of New England was formed on 1 February 1954 — with Dr Robert Madgwick as Vice Chancellor. See more about Magdwick and his legacy.